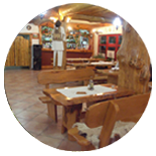 Our restaurant, with a strong rustic character and great csángó-székely traditional cuisine, is able to host up to 220 guests. 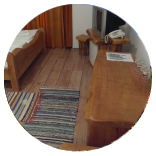 Each room has a modern outfit, with solid wood furniture, beds with othopedic mattresses, batroom - with shower or bath tub -, satellite TV and minibar. The pension has its own guarded parking lot, restaurant with summer garden and a restaurant-bar-reception with television.